It's a cool wet March day in Rocky Mountain National Park. In fact, I actually made this image on St. Patricks and Rocky cooperated by bringing in conditions that would be much better suited for the Emerald Isle. Even so, fog is somewhat of a rarity so its always great when one can photograph Rocky Mountain National Park in these condtions. Fog turns fammilar landscapes into the unfamillar and it really allows a photographer to create unique images not normally possilbe. 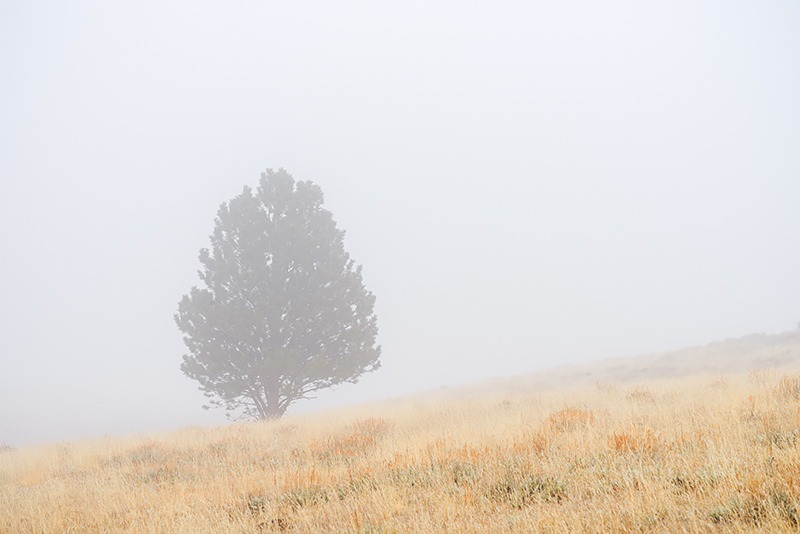 This lone ponderosa pine standing out in Upper Beaver Meadows in the fog is an example of such an image. I spend hours out in the field on days like this in Rocky as the possibilites to photograph different and unique scenes are endless. Photo © copyright by Thomas Mangan.